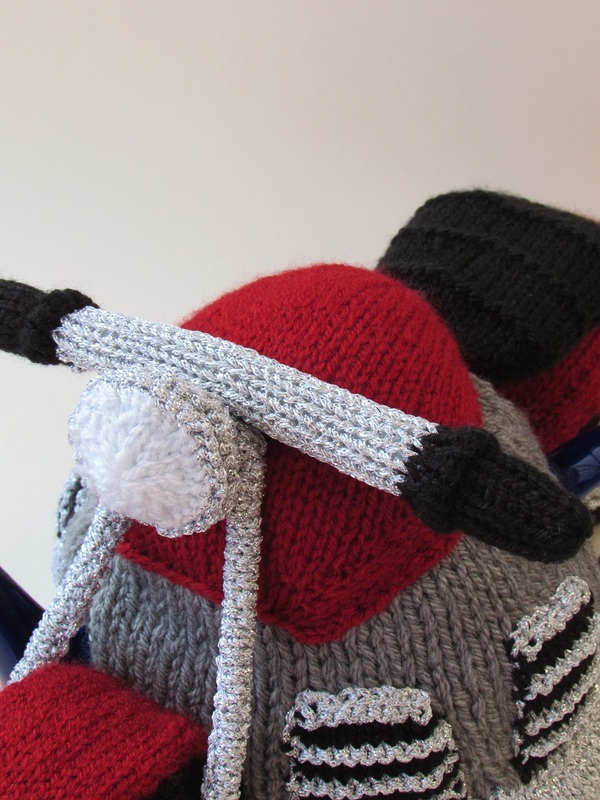 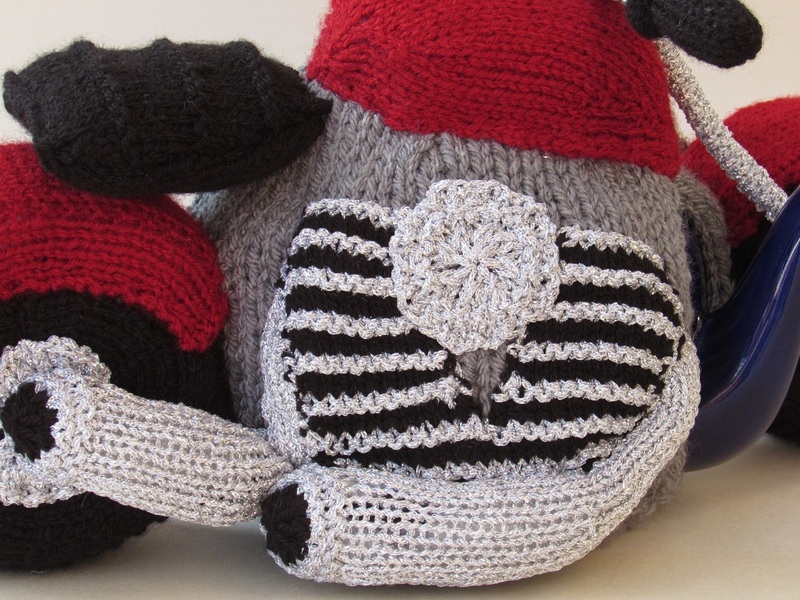 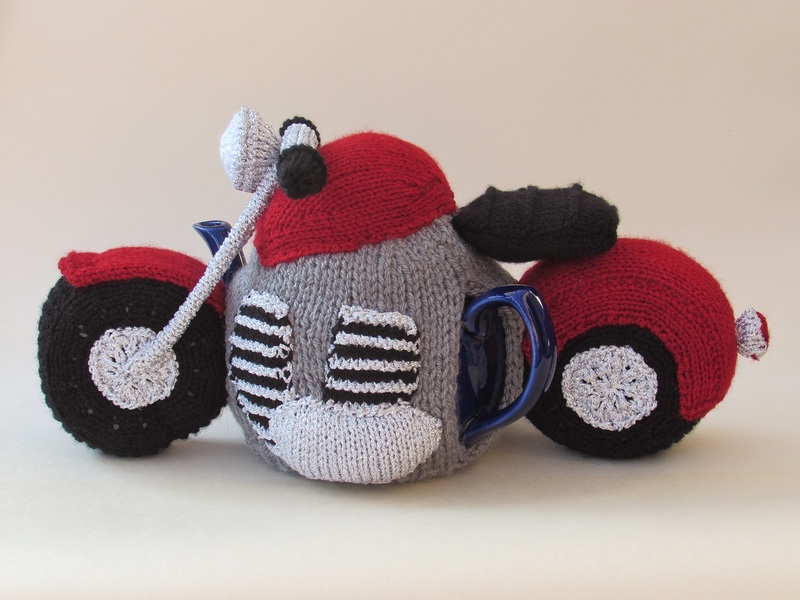 The Motorcycle tea cosy is based on a traditional looking motor bike with lots of shiny chrome parts. 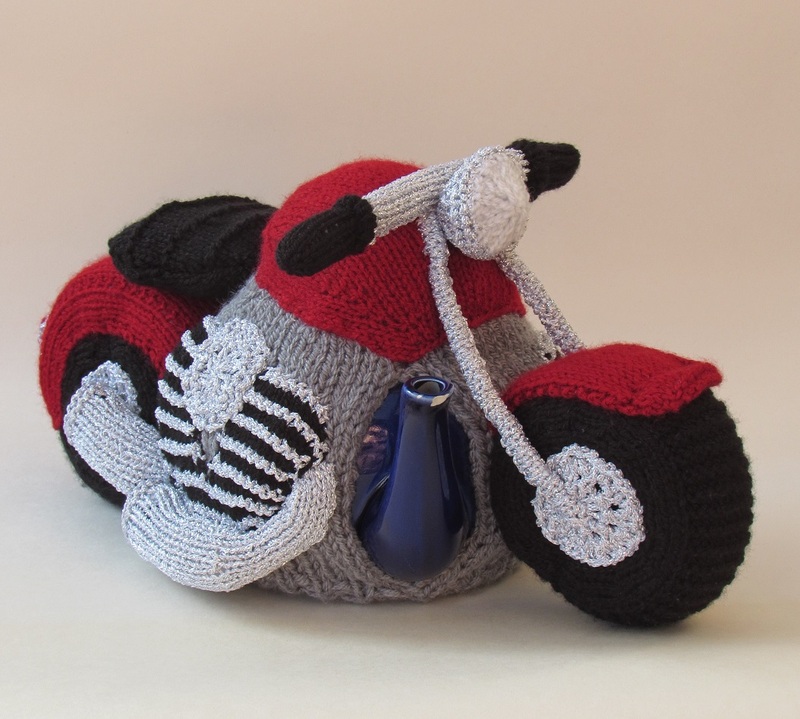 The bike has a black saddle with widens at the back, and it has twin exhaust pipes. 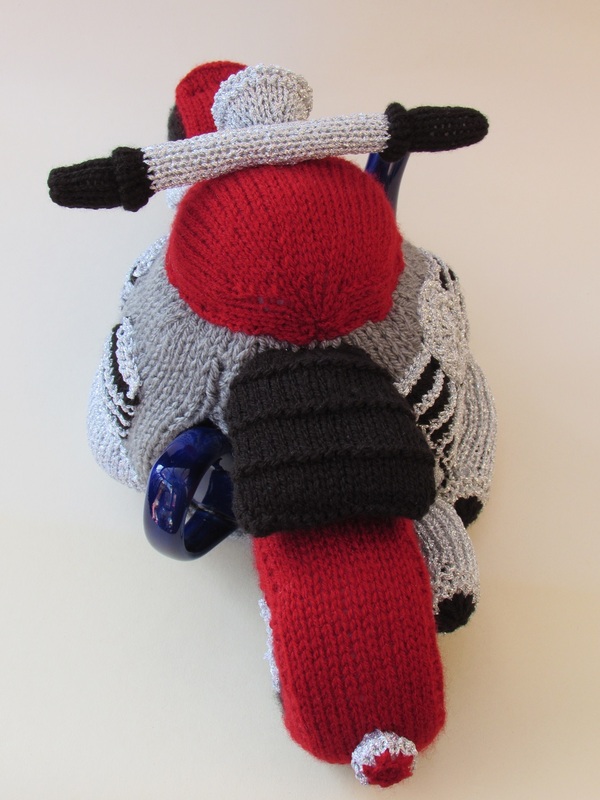 The motor bike has a single, large headlamp and a rear red tail light. 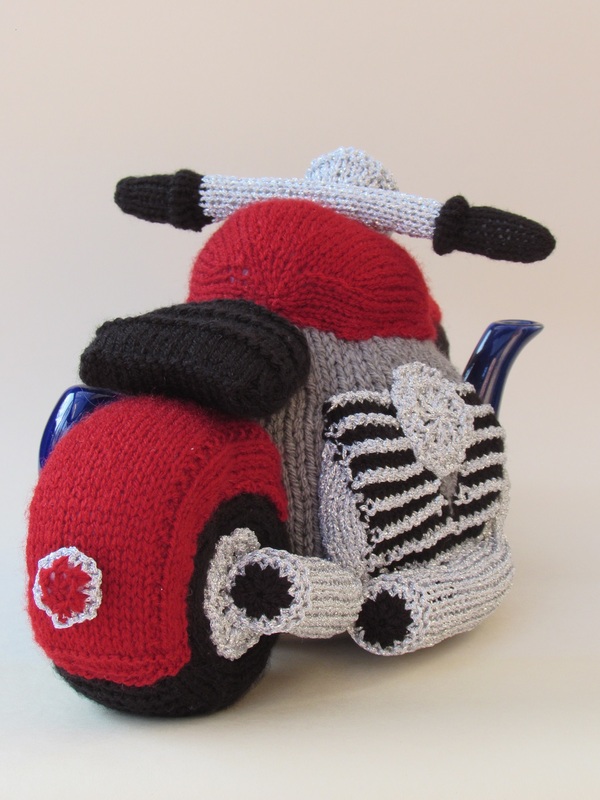 The tank and mudguards are red. 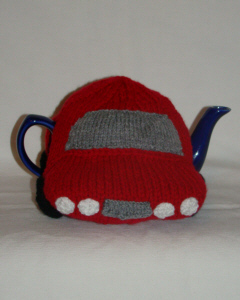 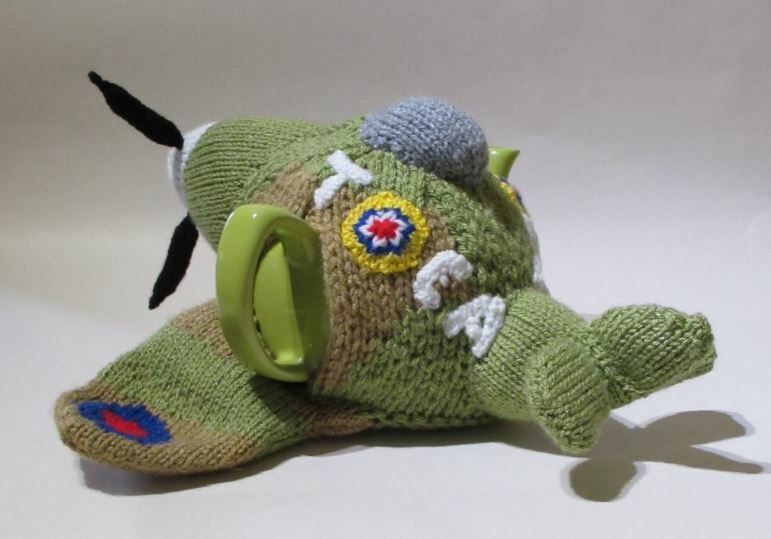 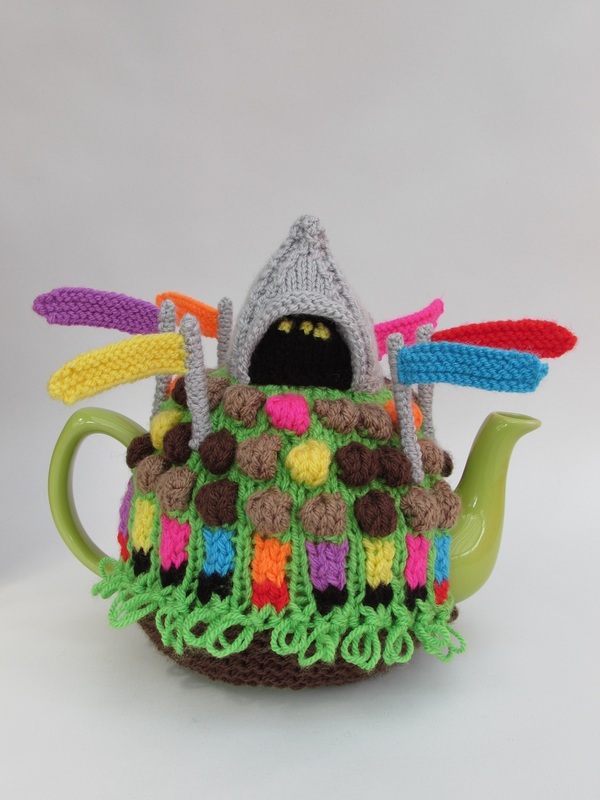 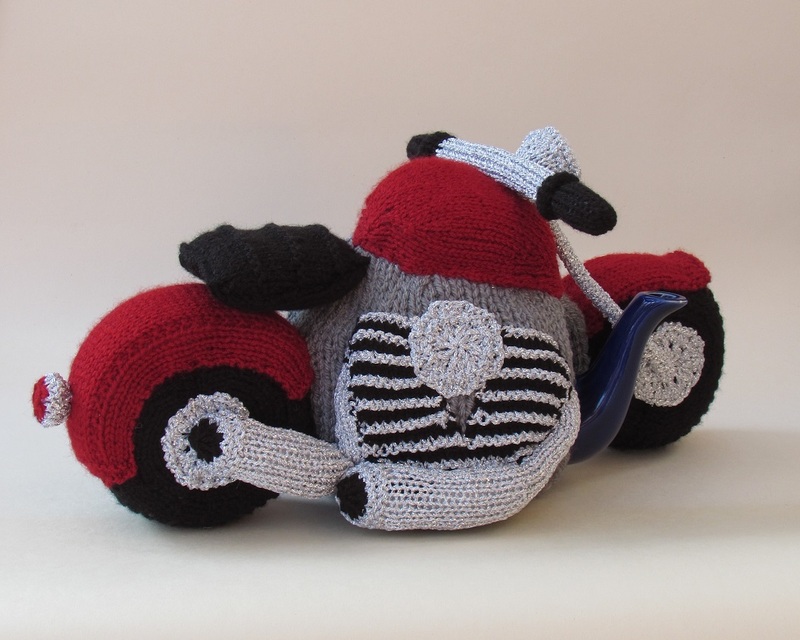 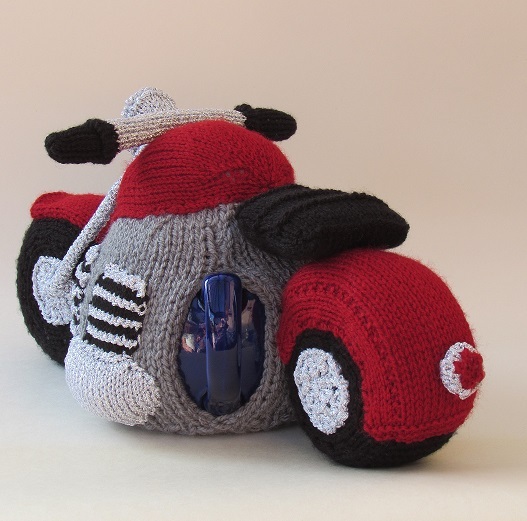 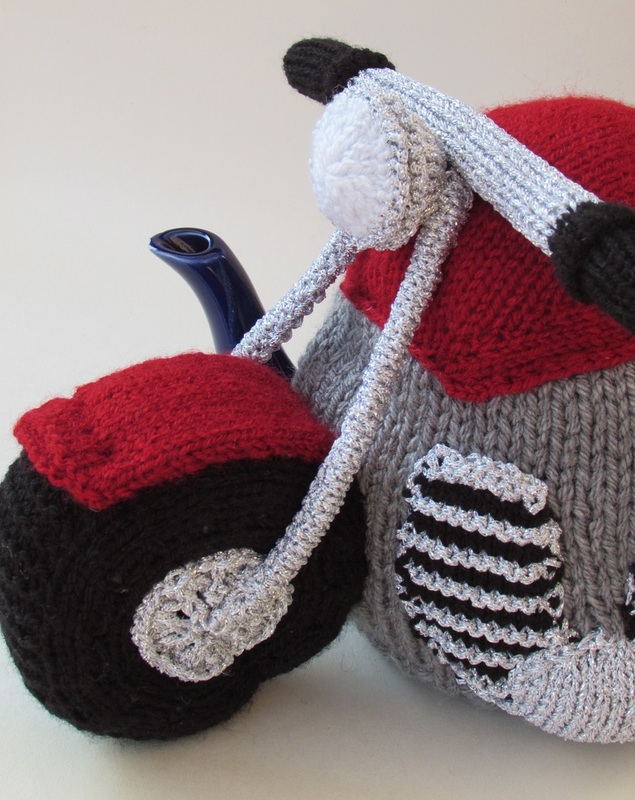 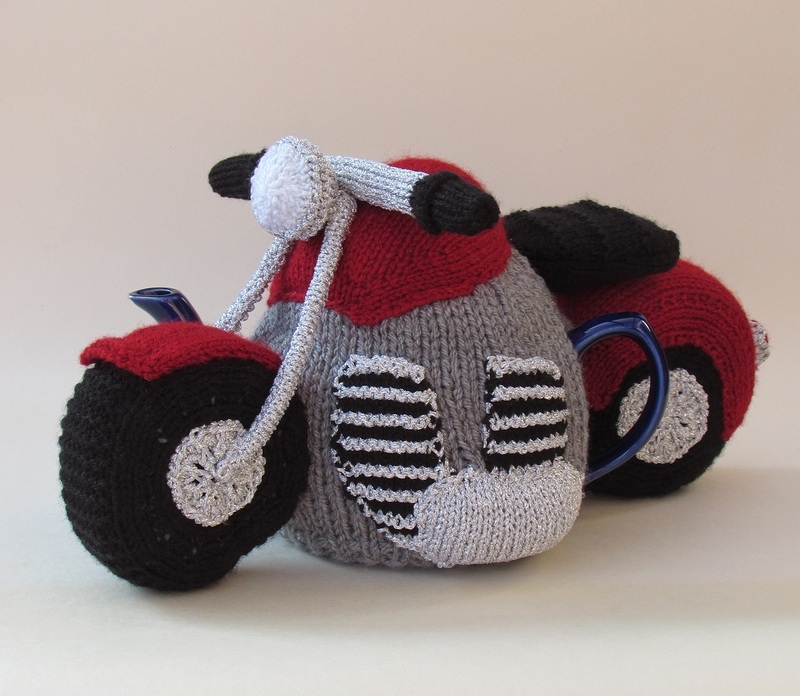 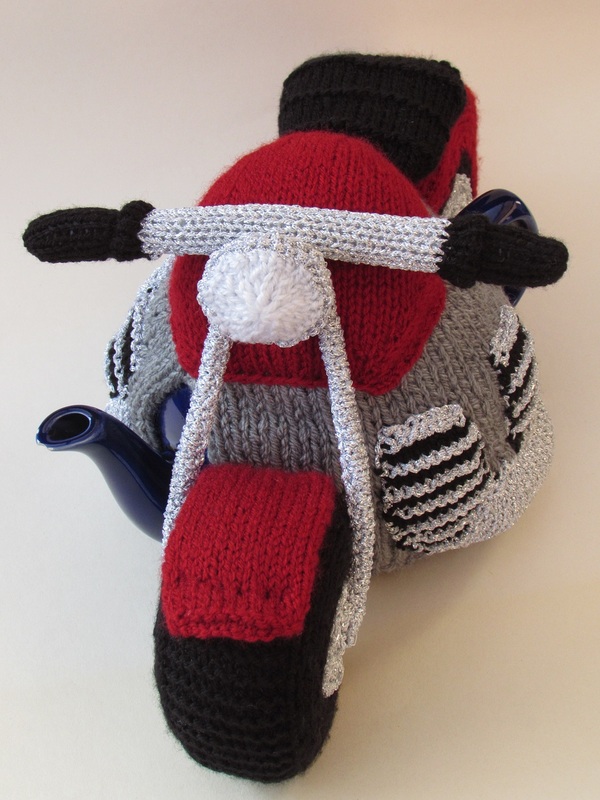 The Motorbike tea cosy is perfect for keeping your tea rawing hot and will be a hit with motorcycle enthusiasts. 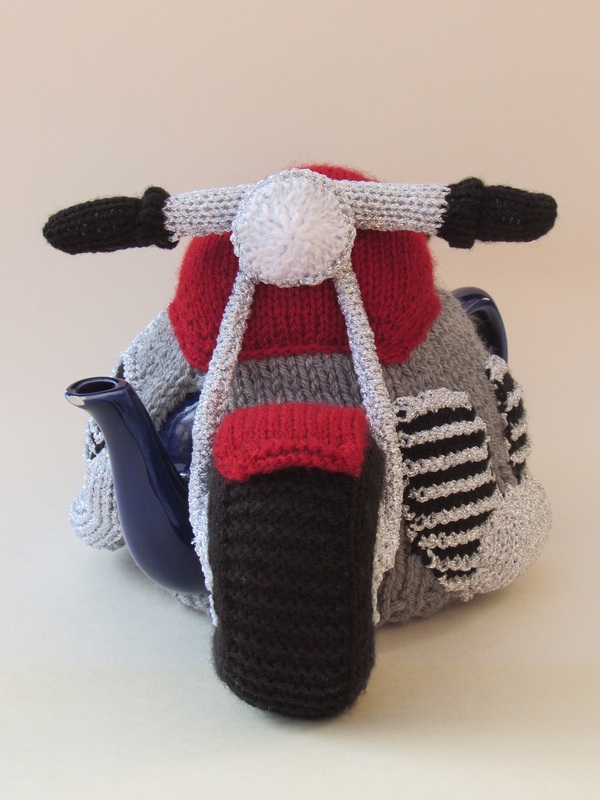 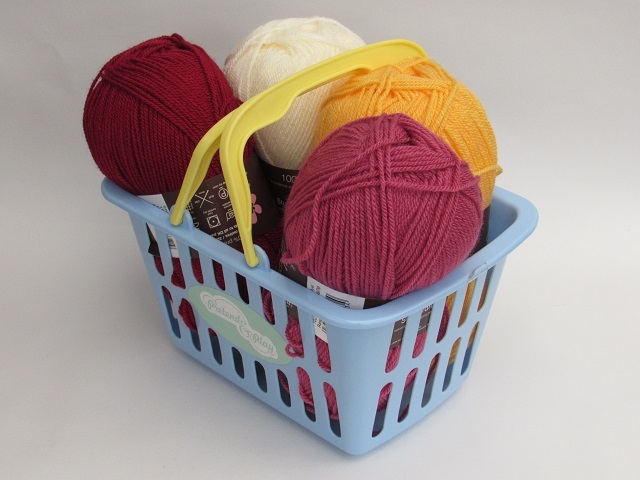 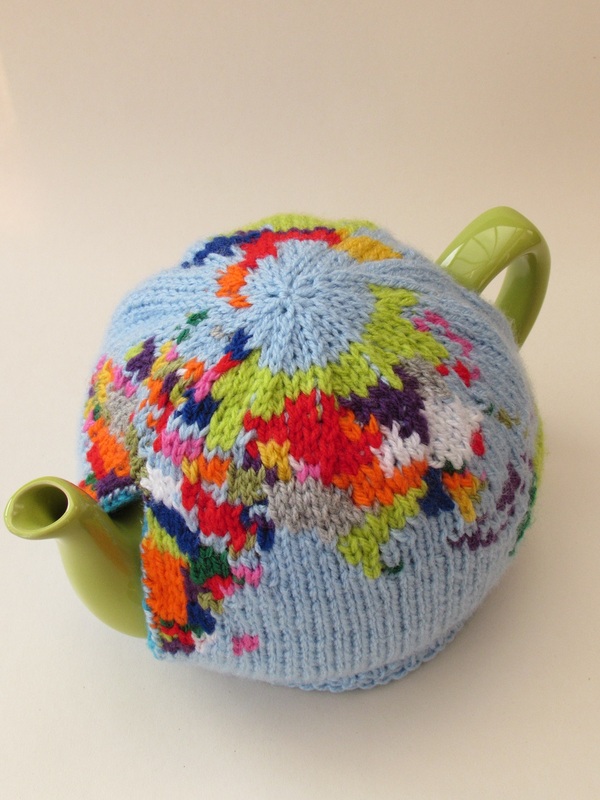 The knitting pattern is easy to follow with just the usual stitches used to create this stunning tea time centre piece.